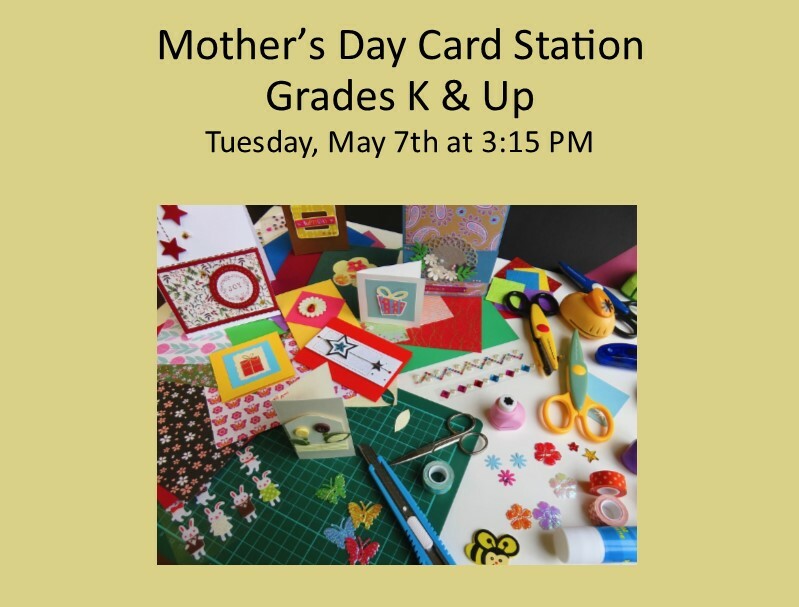 Children will have the opportunity to design their own mother’s day card. (Library staff can pick up Grade 3 and over students at Laurel Ledge with appropriate permissions given.) Children grades 2 and under must be accompanied by an adult.